The six initial awards were given at a closed ceremony Wednesday night, and more than half went to women. As artist Deena Mohamed tweeted last night, Best Digital Comic went to her Qahera, which features a female “visibly Muslim” superhero fighting injustice in Cairo. The Best Graphic Novel award went to Egyptian artist Hanan al-Karargy for her graphic novelization of popular sci fi author Ahmed Khaled Tawfik’s Locust Effect. 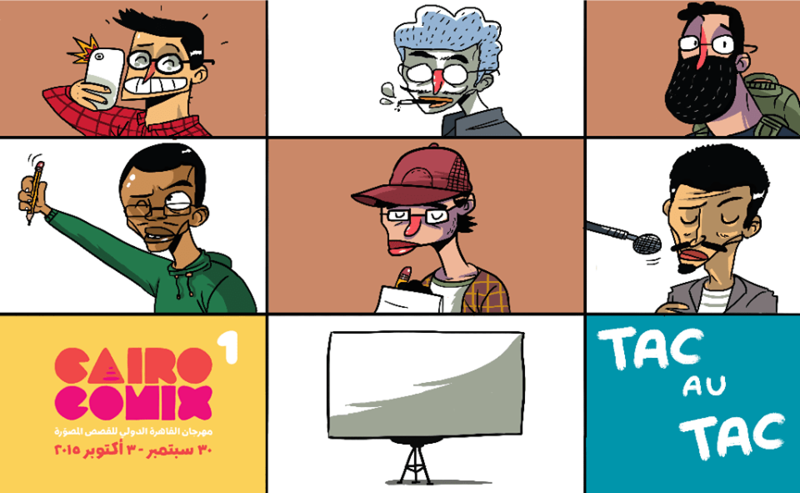 Best Comics Magazine, meanwhile, went not to Egypt’s TokTok, which won a similar award at Algeria’s big comix festival, but to Tunisian artist Noha Habib for Makhbar 916. Best Work in Progress went to Riham Husseiny for an untitled project. As Mada Masr reported, male artists didn’t entirely lose out: Best Short Story went to Migo for his Angels Sleep in the Sea, and Best Comic Strip in a Newspaper to Amr El-Tarouty and Ahmed Okasha. From October 1 till 3, comic enthusiasts in Cairo are in for a treat at the American University in Cairo’s (AUC) Greek Campus. 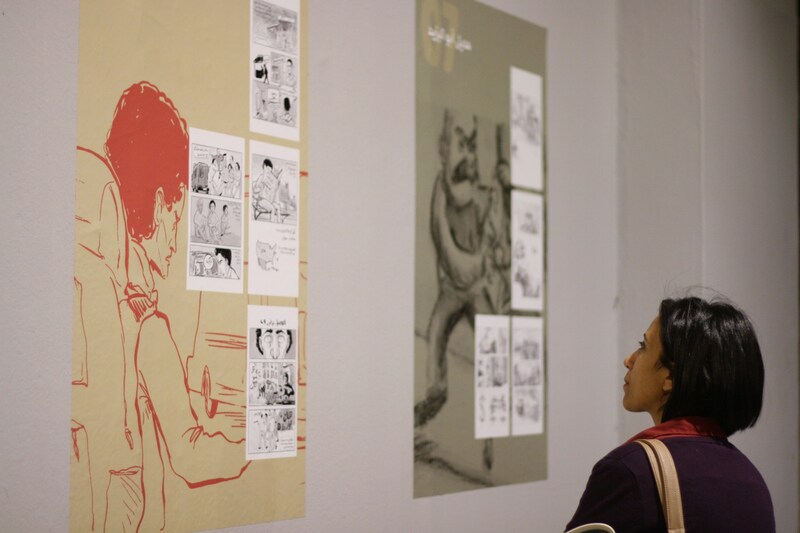 From talks to workshops, comic book sales and exhibitions, the CairoComix Festival, the capital’s newest comic fair, will put past and present Arabic comics under the spotlight. According to Jonathan Guyer, who could be dubbed as the Egyptian Cartoon and Comic Expert, the comic scene in Egypt is doing more than well. “As ever, Egypt’s comic scene is bustling,” he wrote on his blog in August 2015. “Some recent developments: Makhlouf’s Martian portrait drawing hangout, Mohamed Wahba Elshenawy’s comic classes, a ‘zine called Garage, and the Ministry of Culture’s touring political cartoon gallery.” A while back, in September 2014, Mohamed El Baaly (owner of Sefsafa Publishing House) had set up the Egypt Comix Week for the first time. isitor inspect excerpts from the release and book signing event of the comic book Hadath Bel Fe’l in February 2015. As a seemingly natural continuation to the activity on the comics scene, CairoComix builds up on these positive developments. 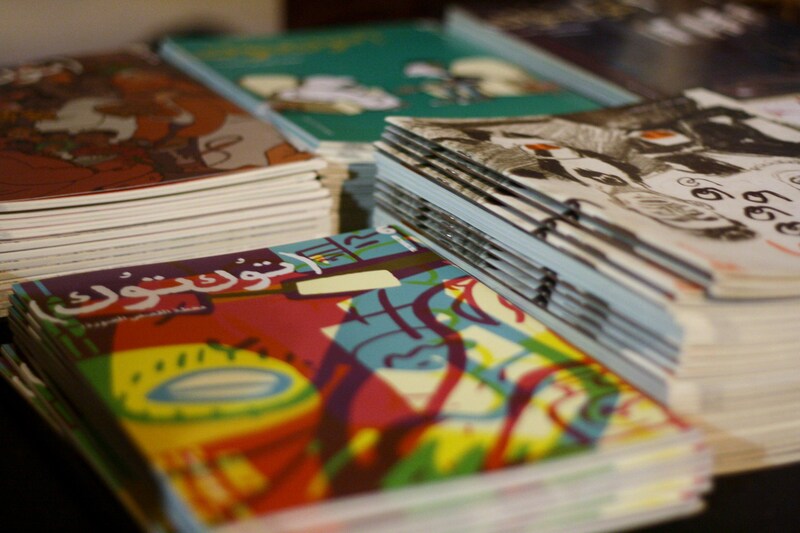 The first edition of the festival “aspires to promote the growth of visual art entertainment, and create a nurturing environment that entertains the audience and fosters the development of an Arabic comics ecosystem,” reads its statement. Bringing the festival to life, Mohammed Shennawy, Magdy ElShafee, and Twins Cartoon are the artists behind the three-day comic fest. Tac Au Tac Challenge at CairoComix. 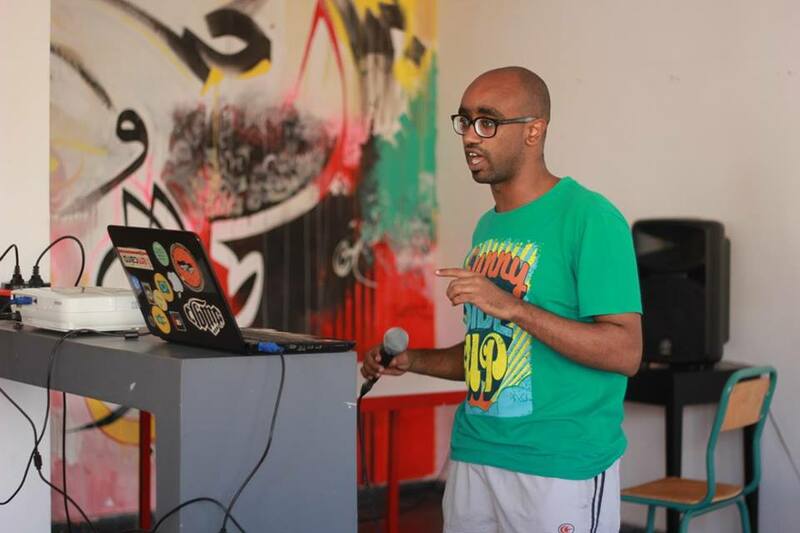 Okacha giving a talk at the 2015 Skefkef workshop in Morocco. 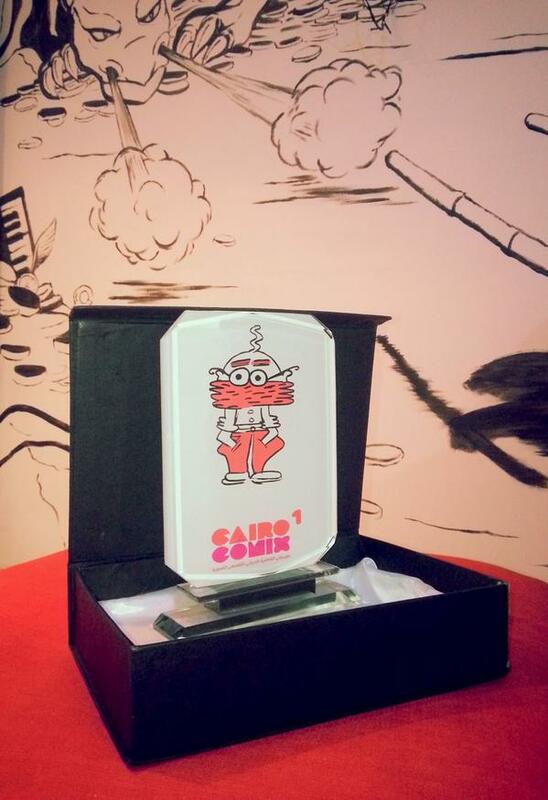 The CairoComix program contains several exhibitions, a competition with six awards (Best Published Graphic Novel, Best Short Comics Story, Best Printed Magazine, Best Press Comic Strip, Best Digital Comics Series, and Best Project in Progress), workshops, and a cosplay event at AUC’s Greek Campus. In addition, a forum on Arabic comics will be held, dubbed On the Roofs. Entrance to the CairoComix Festival is free. On the CairoComix Facebook page. At these Twitter accounts: @mideastXmidwest, @CairoComix, and @TheAhmedRaafat. Very interesting read. Hooray for the women artists! Indeed, congrats & mabrukulations to all the winners. Thank you Magdy I will make that more clear! 0=555Look here,,,,!my co-worker’s step-aunt makes $79 an hour on the computer. She has been out of a job for 9 months but last month her pay was $17477 just working on the computer for a few hours.